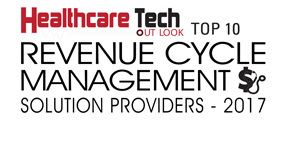 The healthcare revenue cycle management (RCM) industry is en route rapid expansion with reports predicting the market to grow significantly and hit 100 Bn dollars by 2024. This is largely due to a multitude of practitioners across specialties seeking to start independent clinics, taking advantage of reasonably priced cloud-based software tools to run their clinics. However, they are being challenged by the difficulties of managing an in-house billing team, and are looking for options to outsource RCM to reputed solutions providers. They need accountability and transparency to see the status of claims, and rapid communications with the outsourced team to discuss individual claims, that a trusted out-sourced agency can offer. This is where a comprehensive solution like ChARM Health fits in. ChARM Health provides all the cloud-based tools for managing charts, and practice management, coupled with instant reporting tools, and is seamlessly integrated with exceptional RCM service. ChARM Health offers an integrated solution for RCM, including services and a software platform. It is integrated seamlessly into their electronic health records, ChARM EHR, for one-click submission of all relevant data to the RCM service. The ChARM Health billing and coding staff take over and deliver every task from claim submission to reporting and AR calling. The RCM customer has access to a dashboard with full transparency into the status of claims. The firm’s RCM service delivered on the ChARM RCM software platform is automated for communications, claims scrubbing, and reporting. “Based on our experience, we continue to automate functions and make the platform more efficient,” says Ms. Srinivasan, founder and CEO of ChARM Health. The company enables health care providers to redirect their focus towards direct patient care activities by supporting them with a solution that improves communication and automates repetitive and time consuming tasks. The ChARM RCM Platform is the online software product offered to billers and larger practices that manage in-house billing. The platform provides a comprehensive set of features including real-time eligibility, electronic claim submission to clearinghouses, ability to fax claim forms and receive all supporting documents from ChARM EHR using one-click. It features extensive reporting to manage denials, and rule engines to configure coding rules. The platform has claim scrubbing powered by an industry standard coding rule engine, for electronically scrubbing claims, supporting custom rules. Payments, adjustments and patient responsibilities are posted back to invoices automatically to facilitate a smooth practice management workflow. “The platform’s RCM dashboard gives a snapshot of revenue management and details of the status of each individual claim’s lifecycle,” adds Ms. Srinivasan. ChARM Health understands that successful claims need active communication and collaboration between all stakeholders: providers, billers, and the RCM service provider. The company has enabled seamless and transparent information flows through its platform which cuts down claim rejection rates and gives faster turn-around times. “Our platform and service have been built around keeping this central theme in mind. We aim to be the one-stop solution for independent practices that are looking for an affordable EHR, and a practice management system coupled with a complete outsourced RCM solution with state-of-the-art online and mobile apps for complete visibility into claims and revenue flow,” says Ms. Srinivasan.